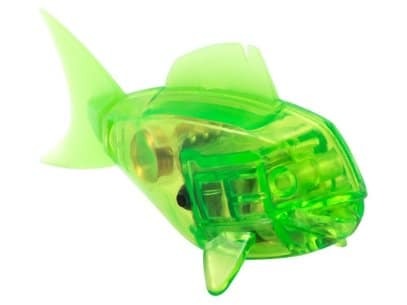 The HEXBUG Aquabot is the first water-born HEXBUG micro robotic creature with smart fish technology! 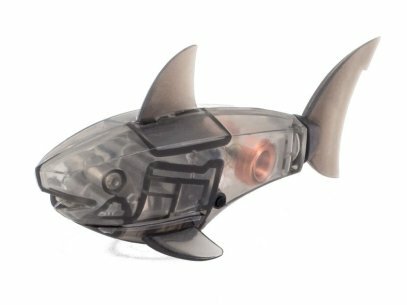 Powered by electro-magnetic propulsion, this swimming fish propels itself to explore its environment. 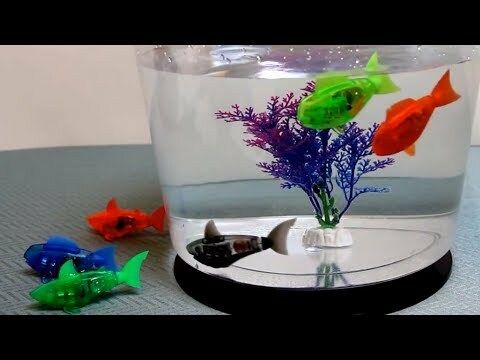 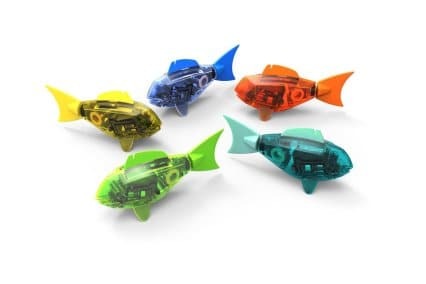 The colorful HEXBUG Aquabot & Aquabot with Fish Bowl offers kids the fun experience of having a pet fish, without all the messy clean-up. 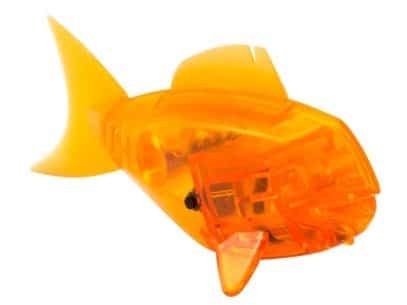 Available in two body styles and ten translucent colors, the HEXBUG Aquabot Shark & Clown Fish are equipped with an automatic on and off sensor that activates when submerged in water, a design element meant to get kids thinking about the science behind the robot. 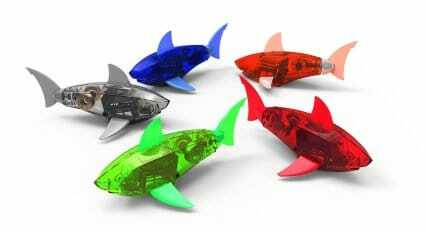 When in water, the colorful HEXBUG Aquabot comes to life swimming around, diving and changing directions to explore its environment.